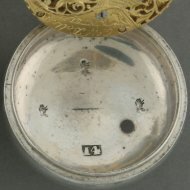 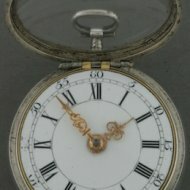 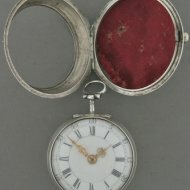 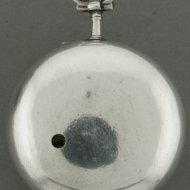 SOLD Rare German 8-day verge watch. 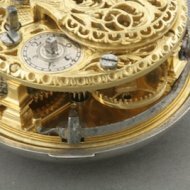 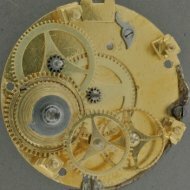 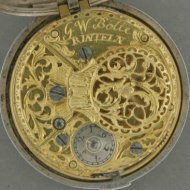 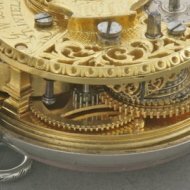 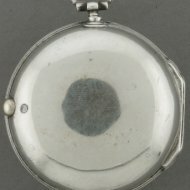 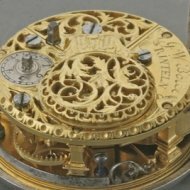 The movement has an extra wheel between the fusee and the minute-wheel. 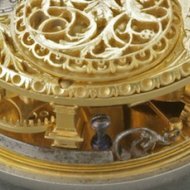 The direction of the fusee has turned for this. 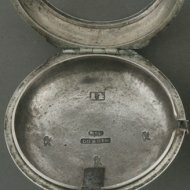 Both cases have 3 hallmarks of a bear or lion, a stamp '14' and a stamped name 'DUBOIS'. 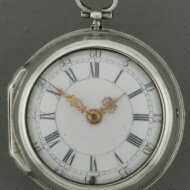 Diameter 51 mm.